Which Basil Plants Are Best For You? Learn how to choose the best basil plants whether you want a basic herb garden or herbs for cooking. The variety that will be the best choice for you depends on your needs. 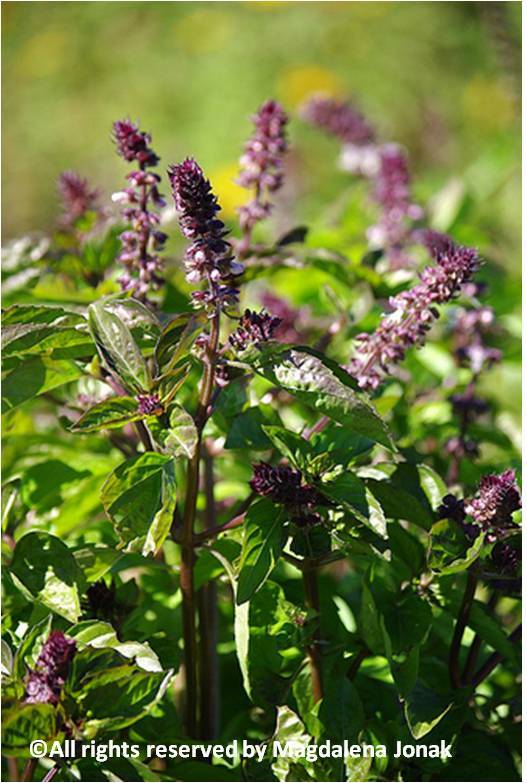 Most varieties of basil are green, but there are some that have grayish, purple or red leaves. The flowers on some plants can vary in color as well, although the most common flower color is white. All varieties of this herb are perfect for a basic herb garden. If you plan to grow some in your herb garden, you might be more interested in color, size and leaf shape to create an aesthetically-pleasing display. When you are growing herbs for cooking, flavor is the most important factor in choosing the best herb plants for your needs. This herb is typically described as having a licorice or slightly peppery flavor, but different basil plants can have a slightly different flavor. Some varieties are sweet, while others have a stronger licorice flavor. Use the variety that best matches your taste and the flavors in the dish you will be preparing. Whichever basil plant you choose, you will not be sorry. Each variety will bring its own unique combination of color and flavor into your life. Before long you will fall in love with this herb and want to add more varieties and find more ways to use them. Here you will find information about the most common basil varieties. This information will help you decide which is the best option for you. If, after you reviewed the information on the linked pages below, you are still in need of more clarification, check out HortChat.com. HortChat.com covers a broad range of gardening and plant areas. This produces purple leaves that turn green as the leaves grow to full size. This variety has a distinctly sweet flavor. This is the most common variety. 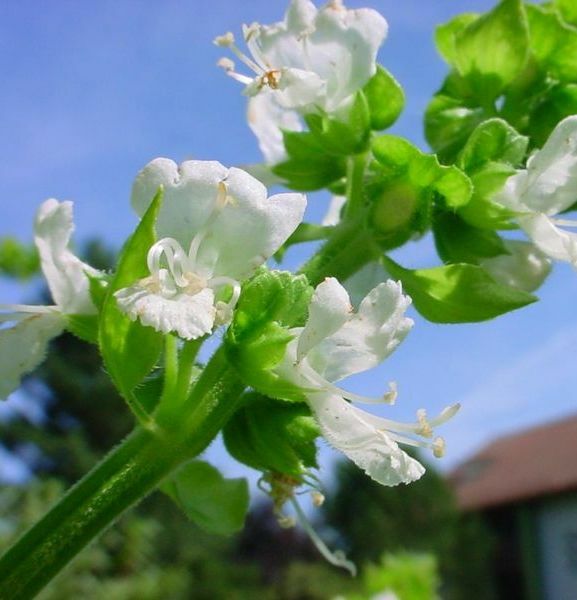 The leaves are shiny and green and the plant produces white flowers. The flavor is slightly peppery and a little sweet. This has either pale green (often called white) or purple leaves with pinkish-purple flowers. It has a strong clove flavor and if often used in Thai recipes. As the name suggests, this one produces large, ruffled, purple leaves. This variety is strong in flavor, but it can easily be used in any recipe. This variety produces very large, reddish-purple leaves. The flavor of this leaf is argued to be the strongest of all varieties. It is widely used for flavored oils and vinegars. This produces leaves that are much smaller in size than most varieties. 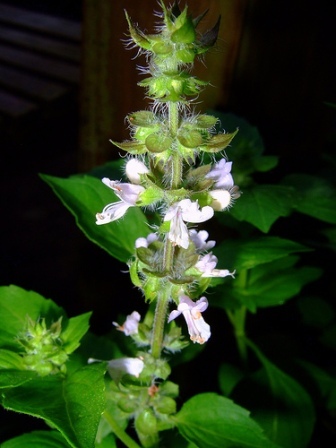 The flavor is typical for basil, sweet and slightly peppery, but it is very strong. This produces purple flowers and dark green leaves that are smaller and more elongated. It is slightly sweet and has a strong licorice flavor. Lemon basil, known for its strong lemon scent and gentle white flowers, is very popular in a variety of cuisines, especially Thai and Italian. Lime basil has a citrus scent and flavor that make it ideal for use with poultry and fish. A cultivar of sweet basil, cinnamon basil actually contains the same chemical as cinnamon bark, which is why the two herbs smell and taste similar. Ready to Grow Your Own Basil Plants? Let's get that basil garden going! We decided to consolidate all of the various basil varieties into one place. In addition, you will find the same basil plants or seeds multiple times so choose the variety and price that works for you. Right below the coupons, you will actually find two "stores" The first has products from Amazon and a few other merchants. It also has a powerful search that will allow you to query the merchants associated with that store's entire inventory (yes search everything Amazon has). If you do not find exactly what you are looking for in the second store (below the line break), click on the store name to go directly to the store's website to search more easily. We are doing an experiment to see which store type our readers like better. Please send us a note at "Contact Us" to help us determine which stays and which goes.